Red Wood Color With Two Hole Designer Flower Vase A container used mainly for displaying fresh, dried, or artificial flowers. 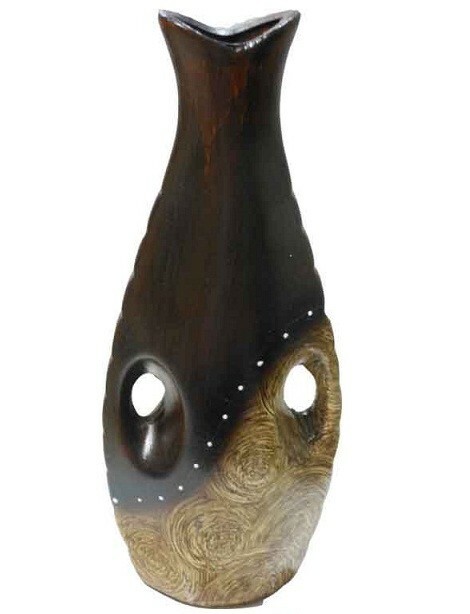 red dark wood color finishing with light brown wooden color decorative shape of top vase two side hole design this vase is look unique and modern stylish flower vase . this flower vase is made from terracotta material . this decorative flower vase is used by home decoration table .